Rolls-Royce has revealed its all-new Cullinan with intentions of overtaking the Range Rover and Bentley Bentayga to become the new king of the ultra-luxury SUV segment. 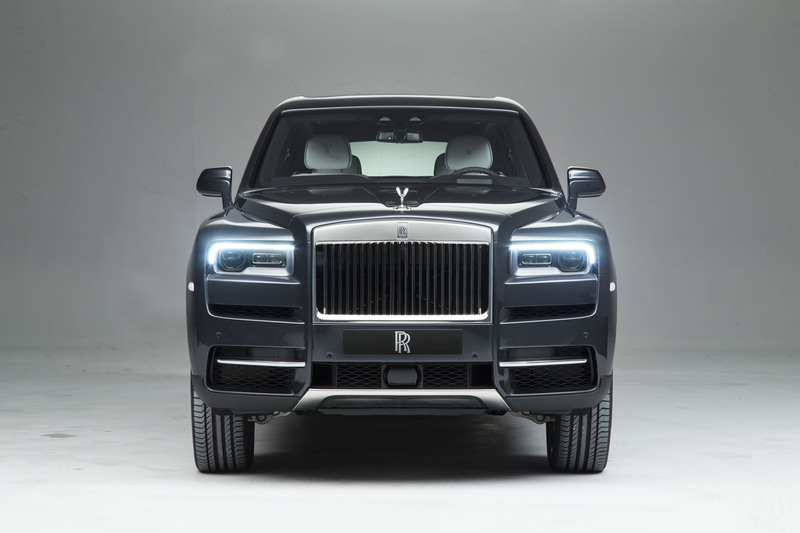 It was three years ago that CEO Torsten Muller-Otvos said that his Goodwood-based company was planning an SUV, following requests from buyers who craved a higher-riding car from the maker of the world's most luxurious car, the Phantom. 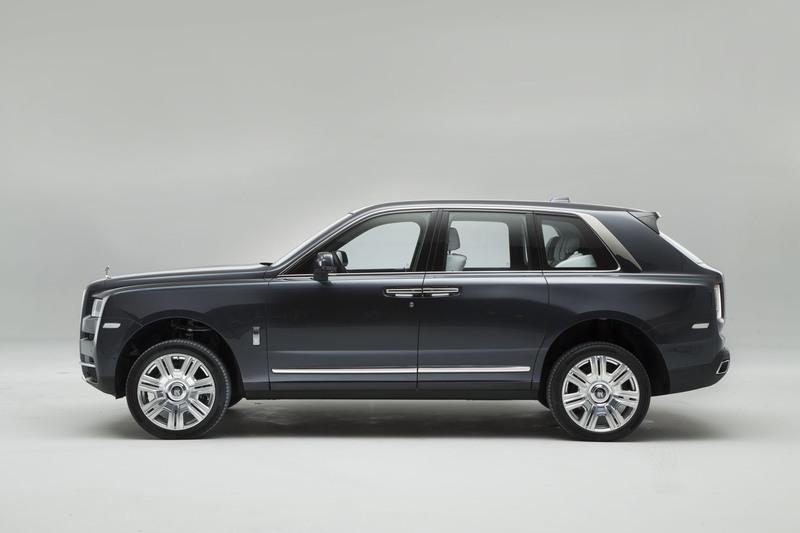 Like its saloon sibling, the Rolls-Royce Cullinan SUV, named appropriately after the world’s largest raw diamond, found in South Africa over a century ago and now part of the Crown Jewels, comes with an eye-watering starting price. In this case, it's £250,000. 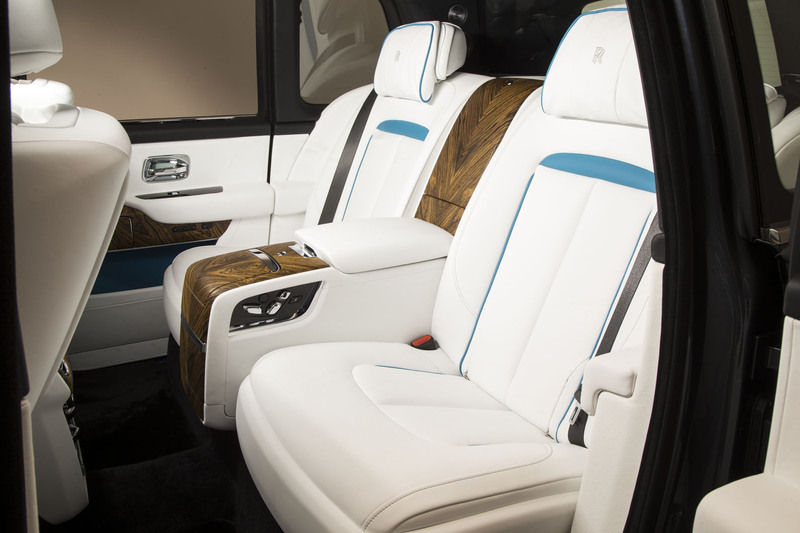 Rather than being a mere high-bodied luxury car, Cullinan is a full-capability off-roader “able to do whatever a Range Rover can do”, while retaining the refinement and luxury of a limo. To stress Cullinan’s breadth of capability, the Goodwood company has artfully leaked a selection of impressive YouTube clips showing prototypes tackling rough roads and huge dunes, and has coined the slogan “effortless, everywhere” to describe its capability. Due in full-scale production in the second half of this year for first sales just before Christmas, Cullinan is one of the principal reasons why Rolls-Royce has been investing heavily to re-configure its two key manufacturing facilities — the aluminium body “centre of excellence” at Unterhollerau near Munich, where there will soon be two body lines for all models, and at the flagship engine and final assembly plant at Goodwood, southern England, where every Rolls-Royce, regardless of body style, will in future be made on a single, high adaptable production line. Cullinan is Rolls-Royce’s first SUV in 112 years - if you discount some extraordinary armoured saloon-based fighting vehicles of the World War One era and after — and it is also the company’s first-ever 4x4, a great leap forward especially if you consider that Cullinan’s system is a latest-tech, electronically controlled, highly configurable permanent all-wheel drive set-up. 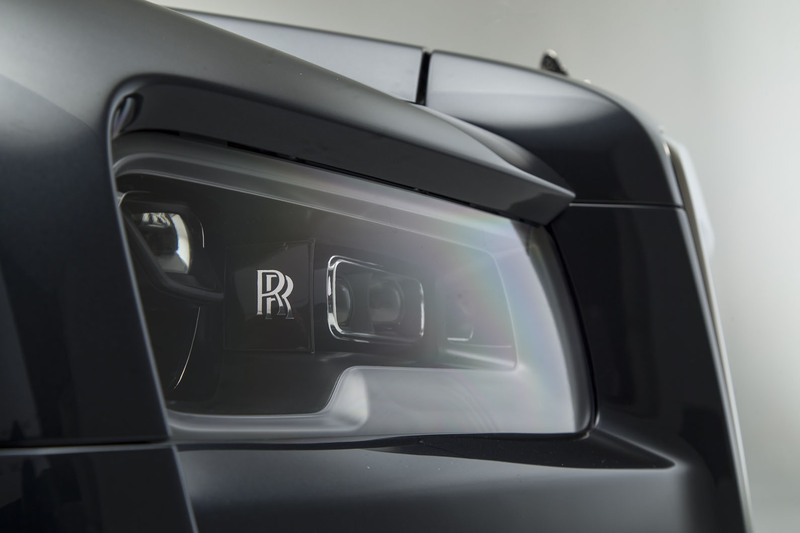 This is only the second new Rolls to use the all new, highly flexible “Architecture of Luxury” aluminium spaceframe introduced recently with the latest Phantom 8 limousine and earmarked for every future Rolls-Royce including the second-generation Ghost saloon, next to arrive after Cullinan. In its current form the Ghost saloon uses BMW 7-series parts extensively because when it was announced back in 2006, Rolls bosses reckoned that was the best way to go. They have since concluded that designing a uniquely versatile aluminium space frame that can support all designs is a far better way of meet Rolls-Royce’s uncompromising requirements. In Cullinan, body rigidity is a particular feature: the new Phantom’s spaceframe is already 30% stiffer that its predecessor’s, and the Cullinan is stiffer still. The Cullinan’s self-levelling air suspension, all-independent by double wishbones at the front and a multi-link layout at the rear — with active anti-roll bars acting on wheels — is a “thorough re-engineering” of the Phantom’s layout. Mostly, it gets air struts with more volume to provide relaxed ride rates over a longer travel plus reinforced and axles. The 4x4 system’s drive runs forward to the front wheels from the rear of the gearbox, but there’s no high-low range split. Given the presence of a torque converter, the ZF automatic gearbox’s surfeit of ratios, and the engine’s impressive low-end torque, no low ratio set is needed. A so-called Everywhere button switches a dozen powertrain and suspension elements to meet any bigger challenges, and it’s possible to sharpen your Cullinan’s behaviour more by special settings for conditions like snow, rock-crawling and sand. Barring the drive to the front wheels, the Cullinan’s V12 powertrain is very similar to that of the new Phantom. It has the now familiar 6.75-litre twin-turbo petrol V12, part-built at BMW’s specialist engine plant in Munich and installed in Goodwood. Famous for smoothness and quietness, its 563bhp is developed at a relaxed 5000rpm, while the peak torque of 627lb ft occurs at just 1600rpm, ideal both for off-roading and relaxed luxury motoring. Rolls-Royce, less flamboyant than Bentley, limit the Cullinan’s top speed to 155mph (a standard Bentayga can hit 187) and are also coy about quoting a 0-60mph time, though it hardly matters. With a little more weight and less torque than Bentayga (0-60mph 4.0sec), the Rolls can surely lay down a five-second run, an eye-watering performance for such a big car. The combined mpg (18.8mpg) and CO2 (341lb ft) won’t impress, though they’re unlikely to deter prospective owners, either. 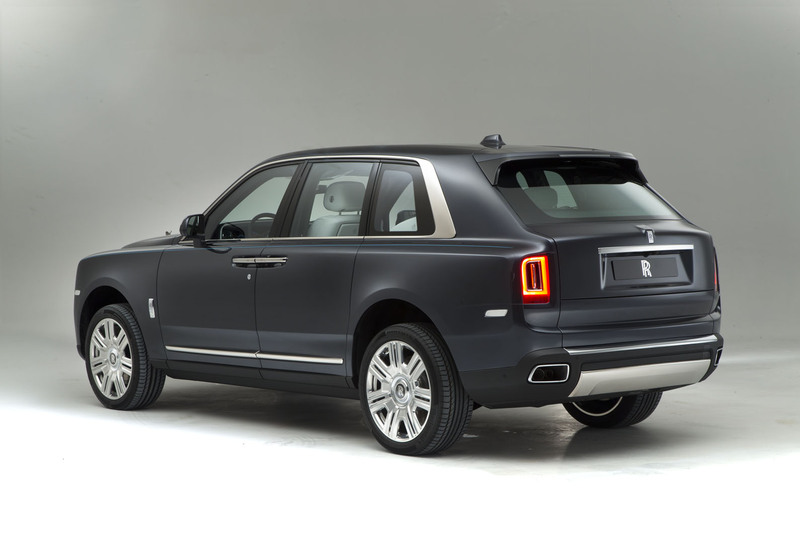 Cullinan’s height, its big glass-to-metal ratio its fairly short rear overhang make it look deceptively compact. 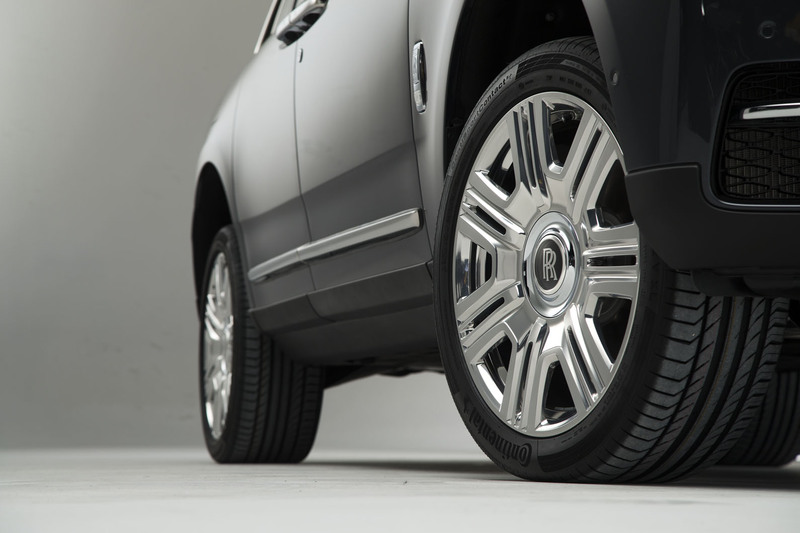 The designers talk about a “toughness of expression” to advertise the model’s more practical qualities, embodied by the fact that Cullinan’s wading depth is 540mm. 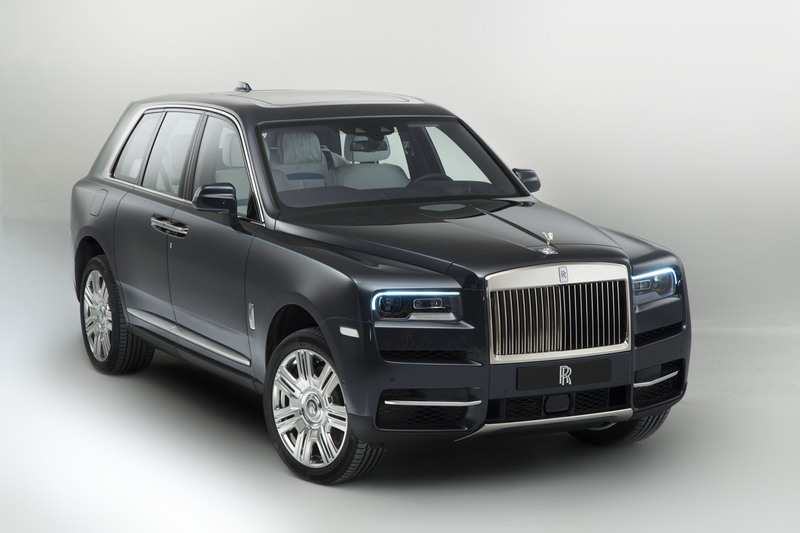 As well as anticipating new interest in markets such as India and Russia that especially suit Cullinan’s "effortless, everywhere” message, the company expects take-up from younger, more active, outdoor-loving buyers. You won’t find tourist buses in Unterhollerau. Not unless the inmates are touring automotive aluminium centres of excellence, which you’ve got to say is unlikely. But Unterhollerau is a vital and highly effective outpost of BMW — or more accurately Rolls-Royce. It may not be beautiful, but in these cream industrial buildings every new Rolls-Royce will soon start its life — because every car will use the same chassis frame, trimmed to different widths, angles and dimensions according to model. I’m here to meet men who make this work: head of Rolls production concept Neil Crichton, Cullinan product manager Phil Harnett and two hugely experienced, grey-coated manufacturing gurus called Thomas and Manfred. I’ve been here before, but this time I’m going to learn what flexible architecture really means. Neil, a happy Brit who has learned French, German and Chinese in the course in a roving Rolls-BMW global career, explains how and where a space frame can be made to fit SUVs, convertibles and saloons big and small. Twenty years ago, Rolls people thought the best thing for a 4000-off small manufacturer was to have the run of BMW’s platforms and running gear to build your cars. But the experience of the current Ghost (which they now half-admit could have been improved by a space frame) showed different. So around 2011 a plan was hatched to put all Royces on the same unique architecture, and to adapt it to their special needs. Crichton projects some fascinating diagrams on the wall that explain the principle. Six key areas govern how cars vary — in dash-to- axle measurement, wheelbase, rear overhang, cowl position and height, seat height and ride height. All you’ve got to do is to create a load-bearing structure that can be varied widely in all these places and ways and you’ve done the job. 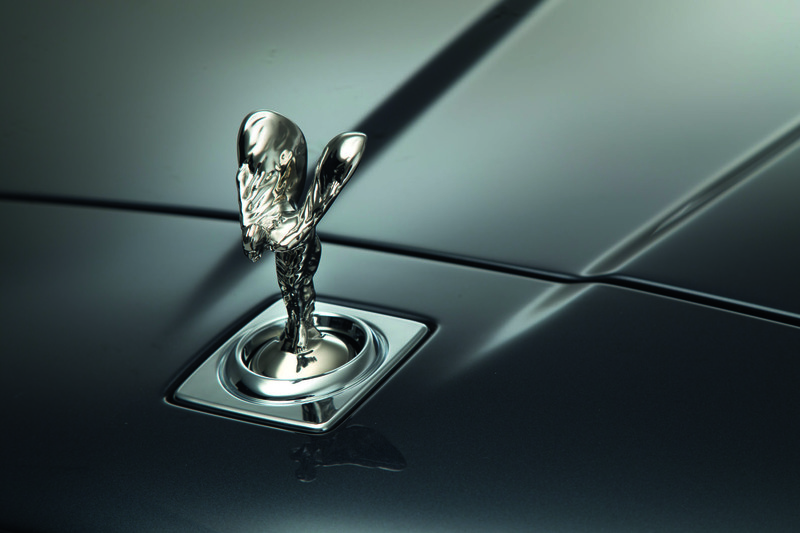 This, in essence, is what Rolls have achieved — at maximum rigidity, in weight-saving aluminium. What is more, they’ve done such deep thinking about the cars they want to offer over the next decade and more that they’re able to let contracts to suppliers for key chassis pieces that extend from here to the later 2020s. It looks like a factory but it’s a tour-de-force. As we get to know Thomas and Manfred, our manufacturing experts gradually turn from a dour pair into a couple of comedians, taking us on a fascinating tour to see how a disparate collection of components gathered on a trolley (known as a car-set) are formed into a coated, car-like doors-on structure. It is achieved largely by robot-conducted rivetting and bonding (each body contains 150 metres of glue) and in many places the required accuracy standard is plus or minus 0.5mm. Such standards, as Thomas and Manfred proudly explain, make a Rolls-Royce. As we leave, even without the wheels on, I want one. 20 year old London black cab anyone? ....but that is a truly awful effort. Bentley must be holding their sides whilst laughing. All of the proportions are soooo wrong, there isnt one redeaming feature. The references to the crappy old Metro (plastic pig) cabs is warranted here. I'm not a fan of SUV (neve have been), but this looks better than I thought it would. It certainly looks better than the Bentley SUV, that's for sure. The Bentayga is a stunner compared to this! No, it isn't.... (shall we carry on, panto style?). The Bentayga's nose/frontal treatment alone is a crime to eyesight. This looks a lot better in that regard, though they should have toned down the grill somewhat. 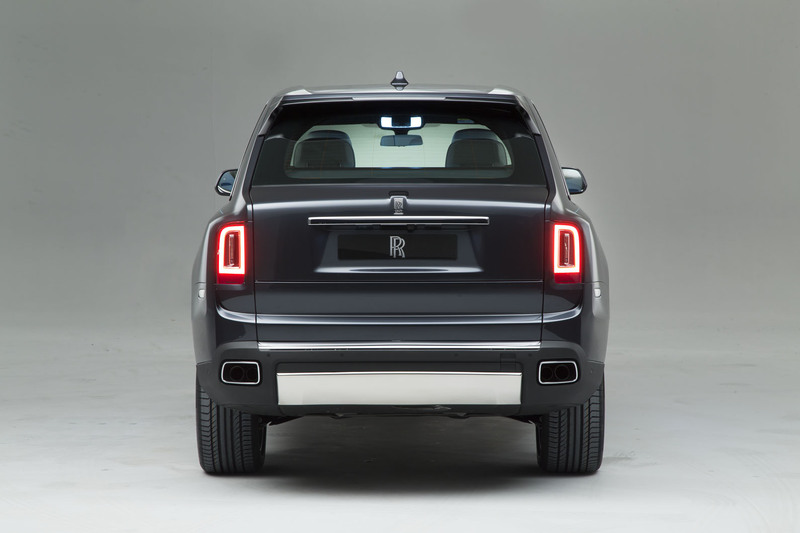 The main problem with Cullinan's styling is the raked rear, which just doesn't work for a 'Rolls', unless it's a coupe like Dawn. Other than that I don't go with the hysteria that's the usual reaction around here. As are Ssangyong. Even staff within their styling dept (who're easily identified by the white sticks they carry), are calling it ugly. Indeed. Looked better when camouflaged. Considerably so.